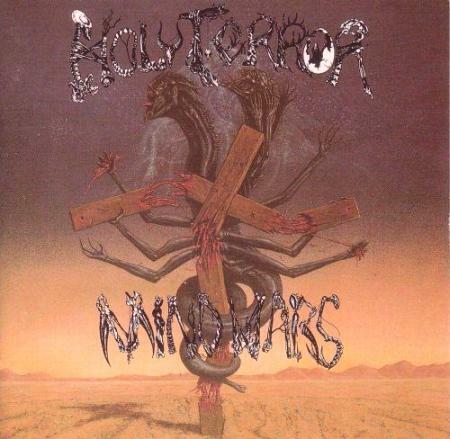 Holy Terror was a Thrash-metal band in the 80ies from LA. 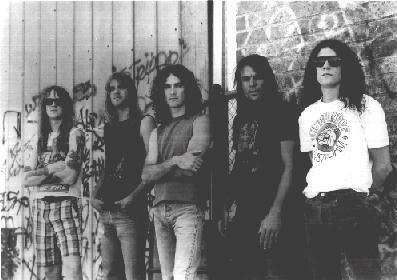 The band was founded by Kurt Kilifelt after his departure from Agent Steel and also had an ex Thurst (Floyd Flanary) and ex Dark Angel (Jack Schwartz) member in their fold. Releasing their first demo in 1986, they released their first full length in 1987 called 'Terror and Submission', followed by 'Mind Wars' in 1988. The band experienced serious problems getting their work released in their home country, but quickly gained momentum in Europe. According to the official "commemorative holy terror site" they after 16 years of absence played a gig again on March 11th 2006.